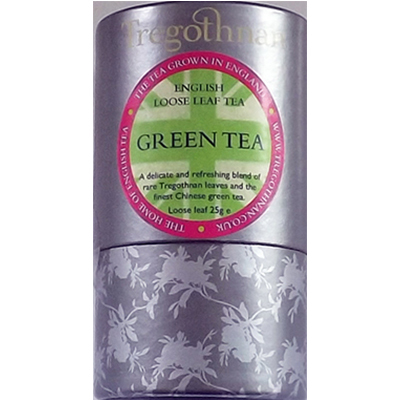 Tregothnan Green Tea is rich in health benefits as well as having an incredible flavour. The tea grows in inimitable conditions and is from the same type of bushes as those from which Green Tea was first discovered in China. The process of creating black teas varies here, as oxidisation is replaced by steaming so the fresh leaves retain their natural green colour. Green tea contains powerful antioxidants that help fight illness plus nutrients such as vitamins and minerals. It can relieve the feeling of fatigue, boost the immune system, reduce cholesterol levels, and reports show that it can also help you lose weight. It also removes toxins from the body naturally and safely.Presented in a recyclable cardboard drum.